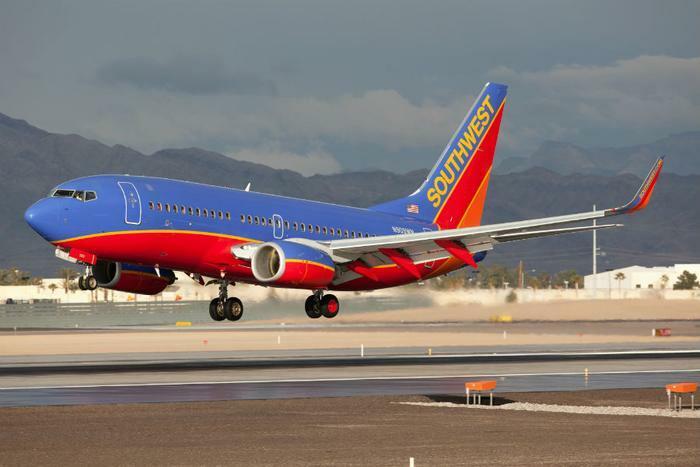 Travelers planning holiday flights will want to move quickly on Southwest's ultra-cheap deals happening now through Thursday, October 12 at 11:59 p.m.
On its site, the airline says that travelers can book one-way trips for nonstop domestic routes for as little as $49, but longer trips across the country or to destinations outside the U.S. can cost upwards of $150. The sale features flights originating from nearly 100 destinations, including major airports like Atlanta, Austin, Dallas, Baltimore, New York, Boston, and Chicago. While the deal will only last until 11:59 p.m. on October 12, all purchased flights must be limited to travel between October 31 and December 19 of this year, or between January 3 and February 14 of 2018. Other restrictions – including exemptions for weekend flights and trips to certain international locations – are detailed under the web page’s terms and conditions.